"One family. Infinite degrees of separation." 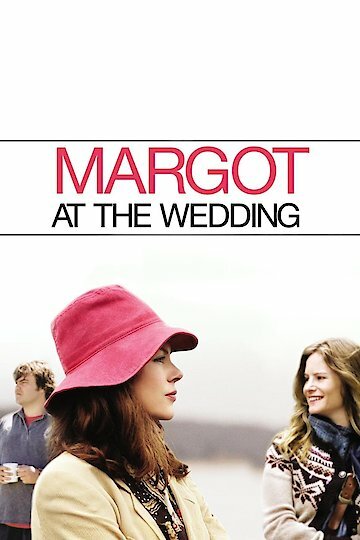 Margot at the Wedding is a movie about family and the secrets they keep. The plot is tied into a sister that comes to visit another sister that is getting married. The plot twist comes as the sister that is visiting fails to be impressed by the fiancee of the sister that she is visiting. Jealousy ensues during the visitation and sisters become rivals. There is a rift that seasons a brewing confrontation that leads to the exposing of secrets. The family spins out of control as the drama of marital problems are exposed in a cutthroat type of fashion. Margot at the Wedding is currently available to watch free on Pluto TV and stream, download, buy on demand at Amazon, Vudu, FandangoNow, iTunes, YouTube VOD online.